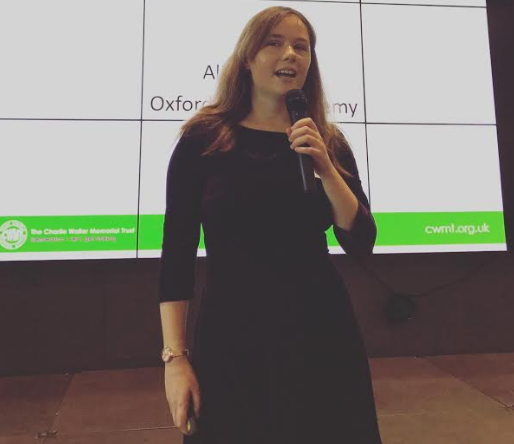 My experience of Oxfordshire Teacher Training – fantastic and unforgettable! “I’ll never be a teacher. It sounds way too stressful and difficult. I’m not ready.” These were the words I uttered to a teacher friend sometime in 2015. I have since eaten my words. Less than a year later, I started properly looking into teacher training. I was working in a job that didn’t excite me, without a clear long-term goal. I knew I loved English, and I knew I cared deeply about improving the lives of children. I knew that I wanted to tackle social inequality. I began to wonder if teaching might be for me. I hadn’t had any experience beyond some private tutoring, but I didn’t let that stop me; I decided to take the plunge and to apply. Two and a half years later, I am teaching in an amazing Oxford state school and I couldn’t ask for a better job. I am so glad that I made this decision, in particular the decision to train with the Oxfordshire Teacher Training SCITT. When I initially applied for teacher training, the SCITT was my third preference. Having graduated from the University of Oxford less than a year earlier, I was keen to stay in an academic environment, and university-based teacher training seemed more prestigious. Before I’d heard back from my other choices, I was invited to a SCITT interview day at the Cherwell School. I went there thinking, this is my third preference; even if I get a place, I don’t think I’ll accept. What a difference a day makes! At the start of the day we were given a talk by Patrick Garton, the director of the SCITT; everything he said about education chimed strongly with my values and my reasons for wanting to go into teaching. I learned more about the course structure, which seemed sensible and thorough without being stressful. I went through a series of rigorous interview activities, including a written task designed to test subject knowledge and a panel interview. The day was exhausting and enjoyable, and I was so excited when I got the call to say that I had been offered a place. I knew straight away that I would accept. My experiences training on the SCITT programme were fantastic and unforgettable! One of its strengths is the fact that it is run by teachers. Learning about and discussing pedagogy from people who have extensive and current classroom experience was really valuable; by the time I was teaching my first lesson, I already felt prepared and supported by the SCITT team. I was on the tuition-fee programme, so in many ways it was very similar to a university-based PGCE: there were lots of central training sessions and observations in my placement school, and my teaching load was slowly built up. As the course progressed, I spent more time teaching and less time in central training. The highlight for me was the subject specialist sessions, which were run by experienced English teachers and were focused on applying academic knowledge to the classroom. The people on the course were a mixture of younger university graduates like me and older career-changers. This diversity was one of the best things about the SCITT; it is amazing how much you can learn from people who are at very different life stages to you. Everyone, including the course leaders, was really friendly and approachable. There was no sense of hierarchy, and if you were struggling Patrick and the team would always make time for you. I felt like as a trainee I was a priority, not an annoyance or an afterthought. I also benefitted extensively from Sally and Kate’s wellbeing support, which continued into my NQT year. As current teachers, the SCITT staff know what it is like to be a part of such a stressful and challenging profession. This helps foster a real sense of community: it is like a big family! I was initially worried that school-based teacher training would not give me the academic research opportunities which interested me, but I couldn’t have been more wrong. In central training sessions, we regularly read and engaged with pedagogical research. And, in addition to the SCITT, I opted for the non-QTS PGCE element at Oxford Brookes University. About half of the trainees did this; it did involve a few extra classes and essay writing during the school holidays, but I finished the year with a master’s level PGCE and I’d had the opportunity to conduct some fascinating academic research along the way. The PGCE is designed to fit around SCITT training, so there were no scheduling conflicts. It tied perfectly into the course, and I strongly believe it helped me become a better teacher. I wasn’t surprised when the SCITT was rated ‘Outstanding’ in their 2017 Ofsted inspection. The support and training I received was second to none. Everyone, from my visiting tutor Britt to the SCITT Manager Marion, was committed to helping us all become excellent teachers. The ability to complete a PGCE on top of the school-based training made me feel like I was experiencing the best of both worlds. I would recommend teacher training to anyone who wants a challenging, rewarding career in which they are constantly able to grow and learn – anyone who wants to change young people’s lives. And I couldn’t have asked for a better training provider.